Any Game of Thrones fans out there? If you are, you gonna love this wedding! 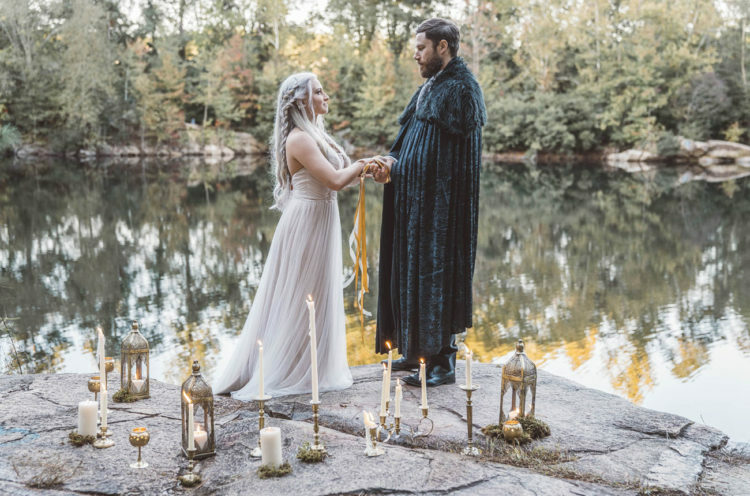 It represents two of the coolest and most loved characters – Daenerys Targaryen and Jon Snow, and their wedding, yes, we all hope that it’s gonna happen in the end! 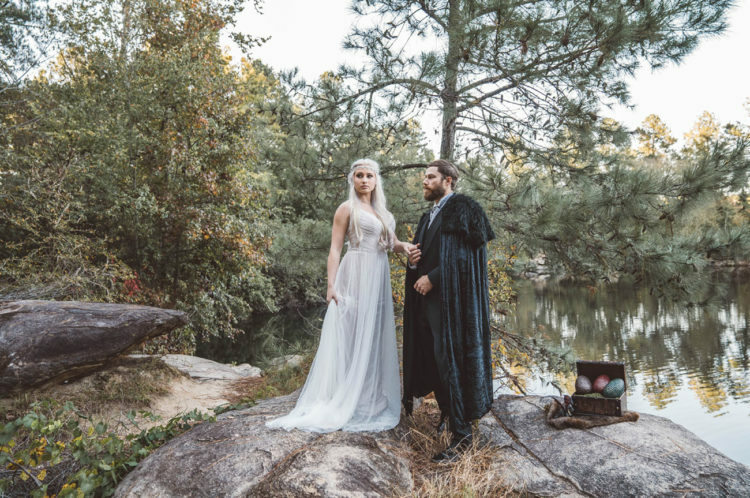 With design by Shoot For The Style and planning by Hankal Events, this is an event like the Seven Kingdoms have never seen! The couple’s looks were perfectly styled to remind those we’ve seen in the show. The bride wore a blush gown and hairpiece from Elegant Bridals. 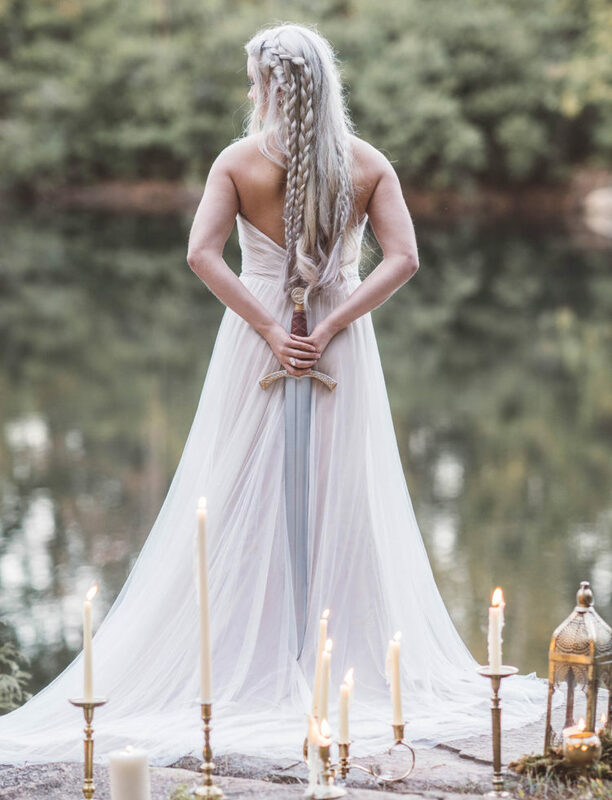 Her wedding dress perfectly reminded of the gown Daenerys was wearing during her wedding ceremony, though it wasn’t silver but pink is a trendy color for wedding dresses. 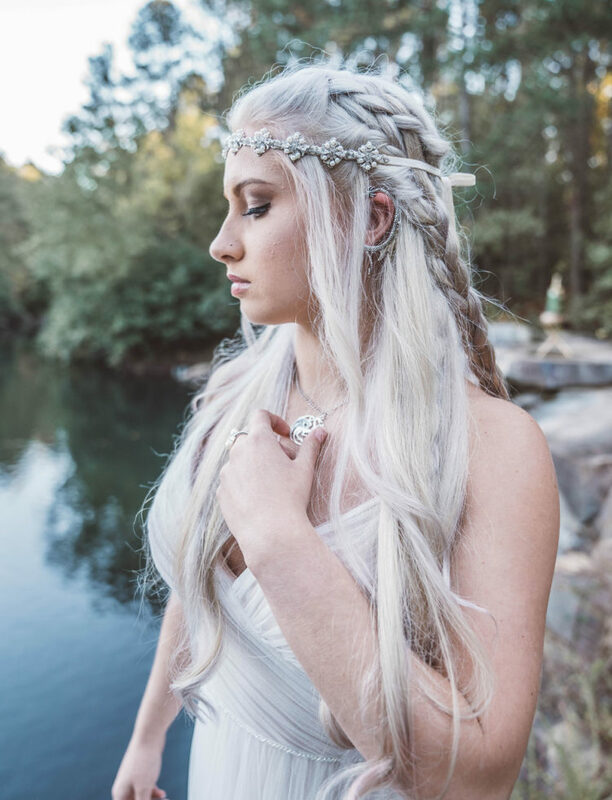 She was rocking a gorgeous half up half down braided hairstyle – that hair color looked exactly like Daenerys! 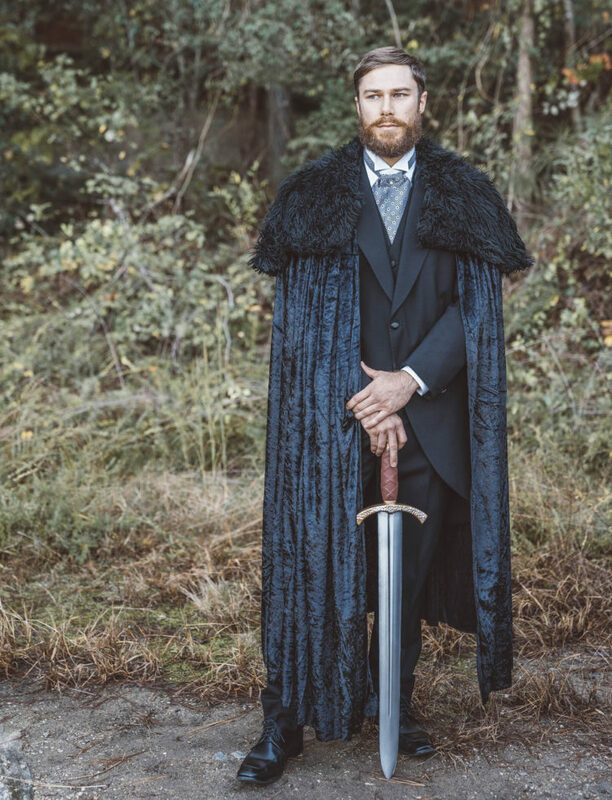 The groom was wearing a three-piece wedding suit with a vintage tie and a coat with a faux fur cover. 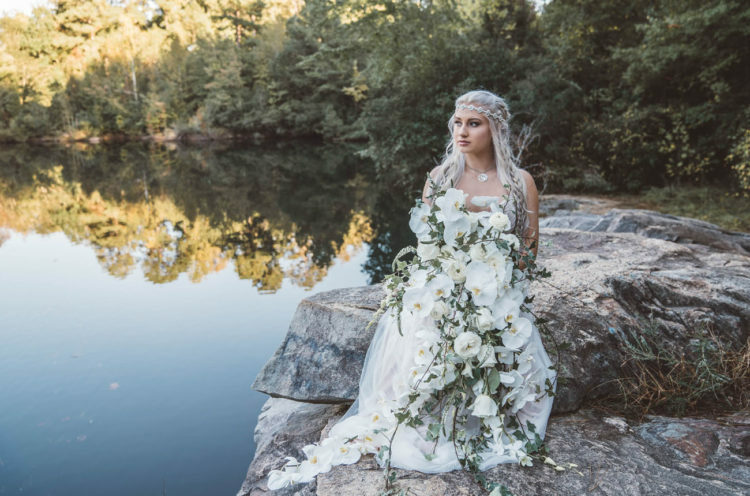 The bride was holding a lush cascading white orchid bouquet that was put on the water. She also carried some dragon eggs. 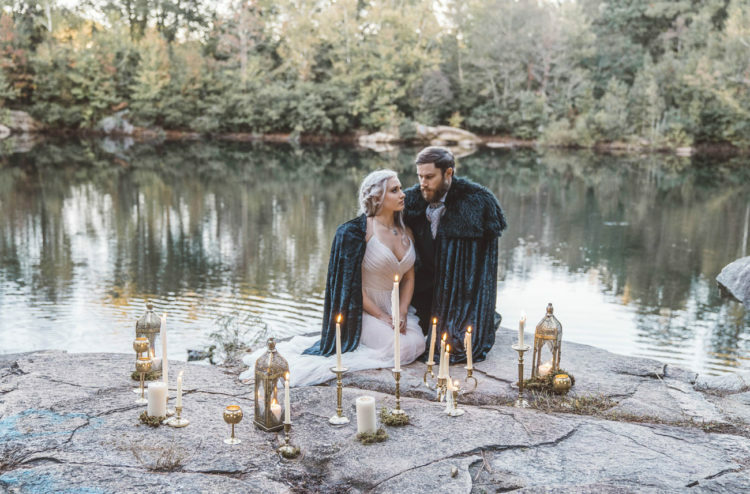 The ceremony took place on the lake shore and the couple was surrounded with candle lanterns and candles. 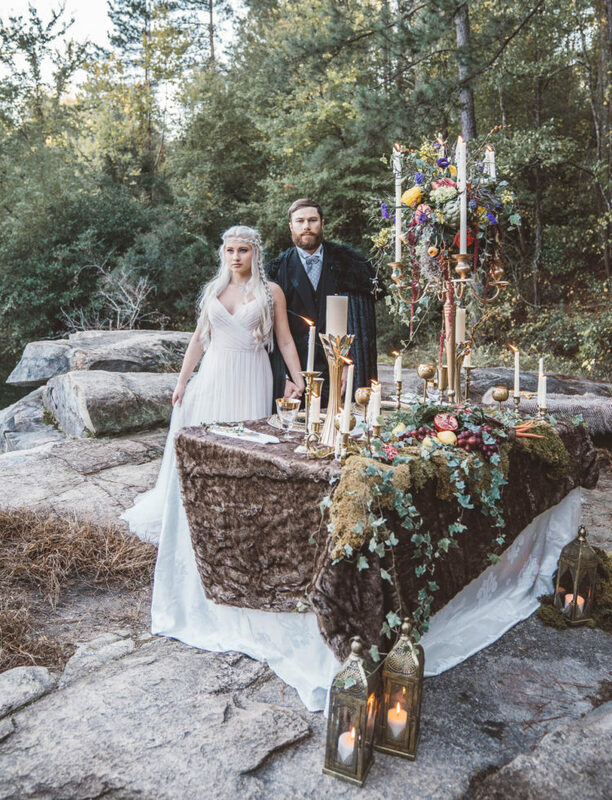 The wedding tablescape was decorated moss, cascading greenery and harvest – fruits and vegetables to give it a wild and somewhat medieval look. Gold goblets and candle holders added elegance to the table, and a lush floral centerpiece on a tall stand added wildness to the decor. 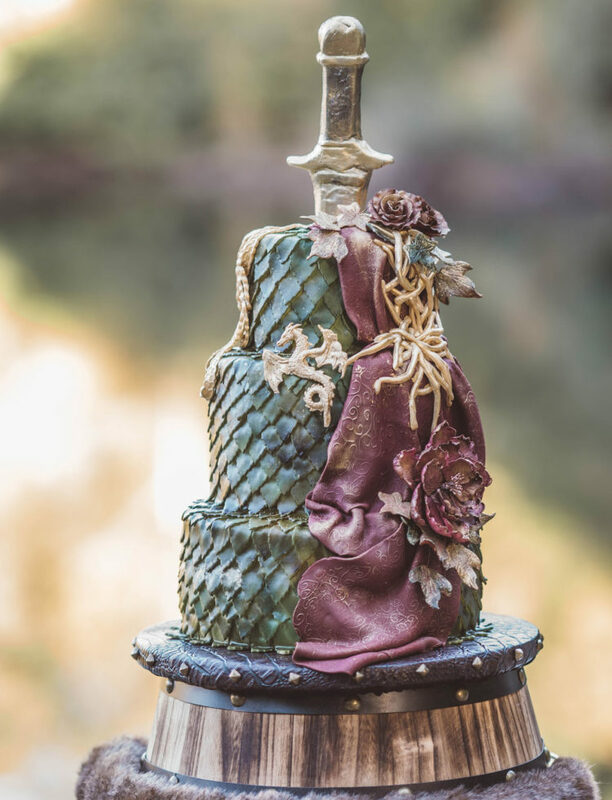 The wedding cake was inspired by the saga – it was of course with dragons, a sword and sugar blooms. Wow!